Yes – the statement above is from a group vice president of Blockchain product development. But what is really significant is that the executive in question is a chap called Frank Xiong – who happens to work at a small software company you might have heard of called Oracle. 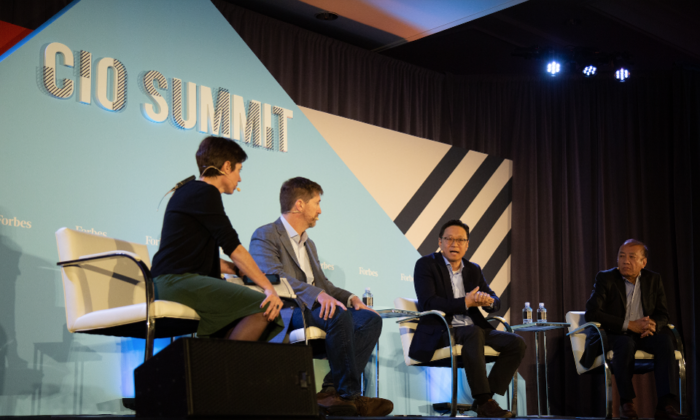 Speaking at the Forbes magazine CIO Summit in California at the start of the week, Xiong, who also heads up the enterprise software leader’s China R&D Centre, went on to claim that his company has north of 100 customers using its Blockchain platform already – with use cases including ensuring the olive oil you’re buying was really made in Italy, or that a manufacturer isn’t buying minerals that support armed conflicts. Another speaker at the panel – Ted Kim, VP Blockchain at Samsung It services arm SDS – was much more cautious, it’s also worth pointing out, expecting only 20% of companies will be using Blockchain, a much lower figure than Xiong’s. Go here for a longer description of the Forbes event from one of its in-house writers.